I reported it for the Real Estate company's web site in Japan. 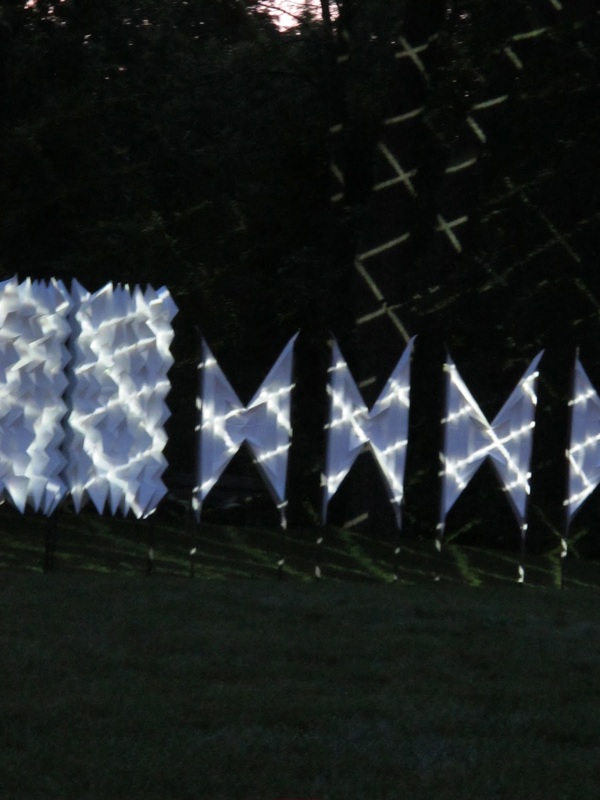 The performance, called SYNESTHESIA, was a part of Spotlight series of Ragdale Ring project. First, it was an international compatition to built an art work where set up on the yard of Ragdale. Well-known archtect Stephen Lea was chosen to make a shell on the Ragdale property. The event was taken place around the shell. Barbara Cooper was one of curators and conducted dance, light, sculptures and dance. It was very inspiratinal event. Stephen is buildting his art work for the "Ring Projedt". The paper sculpture was made by Barbara Cooper and it was folded, stretched, then various flodings. 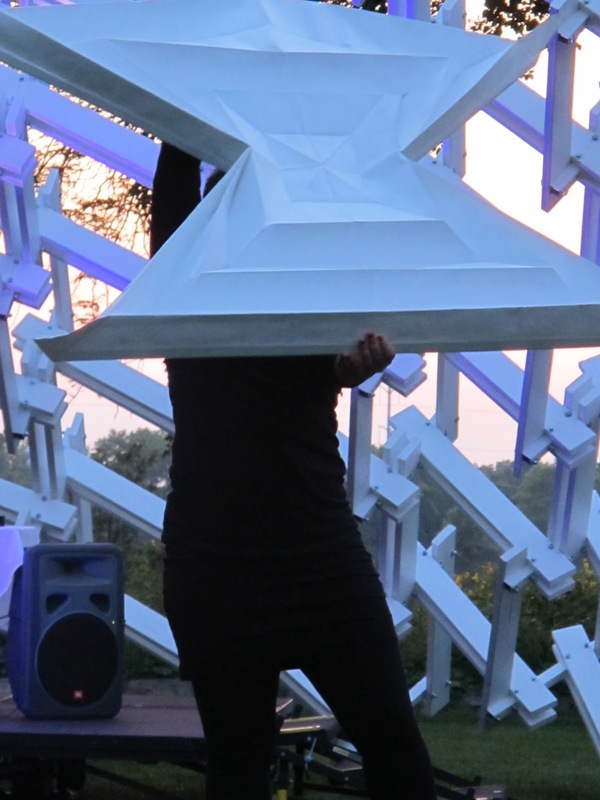 The dancers are carrying the paper sculptures. Since the event started from 7pm,it getting dark. The projection of light on these sculptures was just lovely! The left is by Stephen. The right was placed and light was "dancing" on them.